Ah Coorg! The land of Kachampuli, Puttus and the irresistible Pandi curry. Coorg is a landlocked region and for the longest time, it remained inaccessible to people from the outside world, and this helped nurture a cuisine, unlike any other in the word. True Kodava cuisine actually uses spices judiciously which also helps retain the true nature of the food and meat (and not the swill that is passed off as Pandi Curry in most establishments). I got a chance to discuss Kodava Cuisine and its origins with the charming couple from Coorg who run this place, and in the process, had some authentic and amazing food here. This place is located in Kalyan Nagar, right under the flyover and is in the second floor of the same building as Chulha Chauki Da Dhaba. This is a fairly small place, and as the owners explained to me, they wanted to curate a place that resembled a dining experience at your Grandmother’s place. The ambience is minimalistic but warm, the furniture features patio-style tables and chairs and it immediately gets you comfortable. Small décor elements such as a few lovely paintings depicting Coorg in the Colonial Era, and a quaint open window that is typical to houses in Coorg. 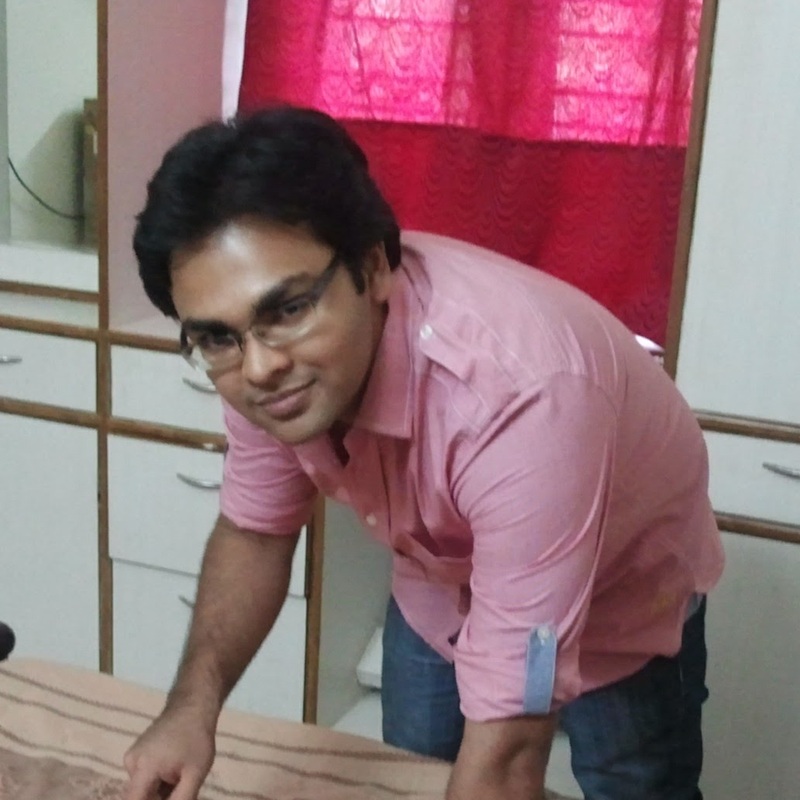 In short, this is as homely as a place gets! Kodava Cuisine is not really authentic unless the ingredients used are indigenous. As Pavith points out, most of the spices used in cooking such as Bird’s Eye Chilli, Black Peppers and Kachampuli(The Coorg version of balsamic vinegar) are brought in from their own estate in Madikeri which was evident in the preparations. We started off our meal with the traditional Coorg Black Coffee with jaggery, which is good after, before and even during meals. This light coffee had the bitterness of the beans dulled with palm jaggery, and a few coconut bits served to heighten the taste of this drink. While waiting for the food to arrive, we decided to savor a few more of their in-house drinks, and believe it or not, we loved all of them. 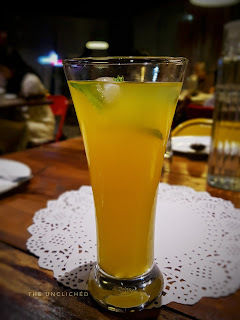 · Mallu Kani(Pepper Rasam): This is probably the best version of rasam I have ever had. This recipe is supposed to be super beneficial for colds and sore-throats. The first whiff of this had me drooling. Tangy, spicy with pepper and bird’s eye chili in it and altogether, a drink to warm up the very cockles of your heart. · Passion Fruit Ice-Tea: They use fresh passion fruit again from the estates in Coorg), and this drink was so good, that I had a couple of these babies. One at the start and one to end the mail. This drink was refreshing with none of the sugary-syrupy taste and all of the goodness of passion fruit. 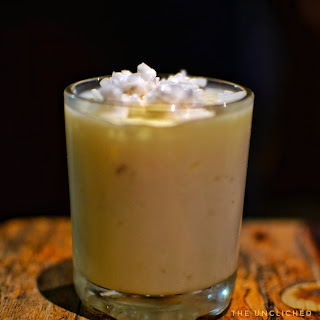 · Butter-Milk: A very good version of the humble buttermilk, this was light and yet flavorful. A touch of ginger, curry leaves and carom seeds made up this delightful version. Super-refreshing and goes great with the all the food here. A meal from the Kodava Cuisine is never complete without a pork dish. Did you know that the wild boar was actually used in traditional Kodava Cuisine, and pork is the adapted version of that? 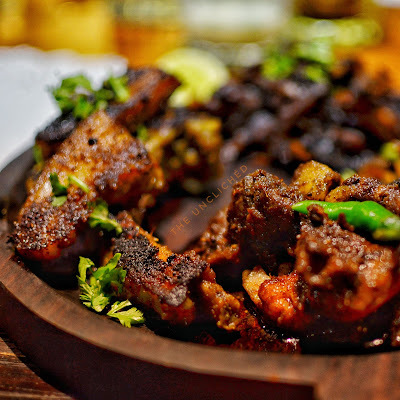 · Thith Pandi or Chilly Pork: Not as spicy as you would expect, this one was a lighter preparation of pork and has several subtler elements in it. I would love to have this on a daily basis, it was so good! · Onake Erachi or Smoked Pork: Lovely, succulent pork pieces smoked with a unique in-house smoking technique so that the pork has a lovely, almost charcoal-like smoky flavor. Delectable! 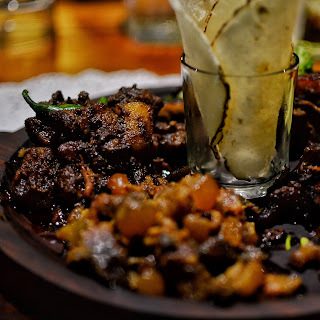 · Pandi Bharthad: The dry version of the famous Pandi Curry, this was a heavenly mixture of pork cooked in a spicy-black pepper base and bit of the Kachampuli added towards the end of preparation to give this a tangy aftertaste. Brilliantly done! · Pandi Chops: Lovely fall-off the bone pork chops, cooked with a subtler blend of herbs to give center stage to the pork, and not the spices. Delightful rendition of pork in all its glory. 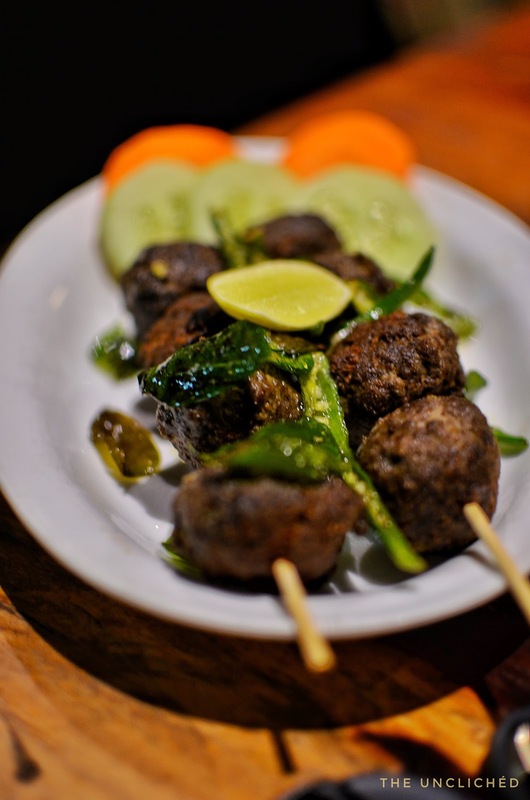 Kaima Unde Bharthad (Mutton Meatballs): It was hard to follow up on the brilliant pork dishes with something better, but Chef Pavitha was up to the task, and the hand-pounded mutton meatballs were as good as any. The spice level was lower on this one, but the juicy meat and subtle spices, with a dash of lime juice on top was incredible. It is a lesser known fact about Coorg, but rice is grown aplenty in this region, especially for local consumption. This has resulted in delightful variations in the way rice is ultimately consumed. The Puttu Platter was proof enough of this. Onward then! Puttu Platter: The 4 renditions of rice that are typically consumed in Coorg include steamed ghee rice, and the following 3 variants. · Noolputtu: Strings of rice (made by taking a rice-mince mixture and passing it through a thick sieve). This is can be called an Indian version of noodles, and goes really well with any of the dishes at hand. I actually loved having this on its own, it was so fresh! · Paputtu: This are basically rice cakes cooked in milk with a hint of cardamom and coconut. They go really well with any gravy dish on the menu. 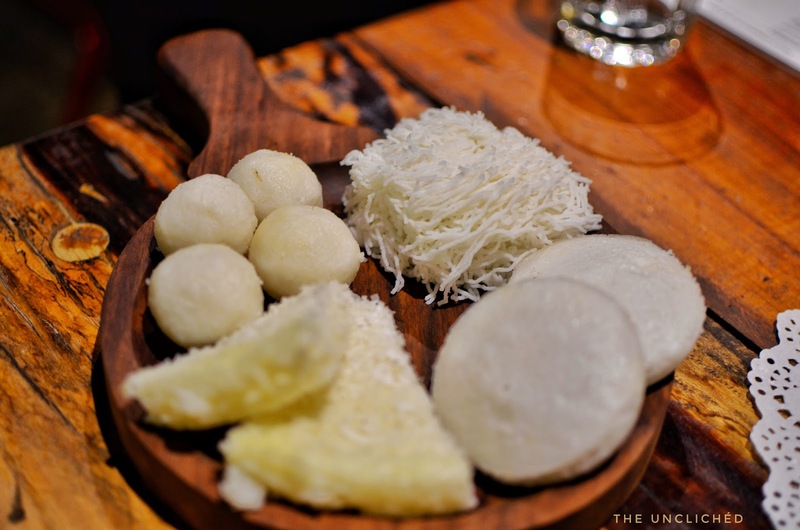 · Kadambuttu: These are more or less, balls of rice with a bit of coconut thrown in for fun! I loved these with the spicy mutton gravy that I had. Koli Curry: This was a light, chicken gray dish cooked in coconut milk and fragrant with the spices of the region. This was delightful to have with steamed rice after all the spicy stuff we had before. Erachi Curry: Another mains dish, this was a spicier gravy item of mutton cooked in traditional Kodava style! Tender Coconut Pudding: This best tender coconut pudding I have ever had. That’s all I will say about this! Verdict: If you love pork, or spicy food or Kodava Cuisine or good food, visit here! Authentic food with reasonable prices, fresh ingredients and local produce, this place will make a lasting impression on you. Go here, now!